The garment decorating industry has a lot of well seasoned consultants who can help your business be more productive and profitable. On the surface a consultant’s fee might appear high but when you look at the lifetime of experience they bring and how they can actually change your life in a matter of days, it is well worth it. Read things to consider when hiring a consultant here. Sometimes what you really need are “fresh eyes” from people who have been in hundreds of shops and have an intimate knowledge of the industry. Consider hiring Scott or Mike Fresener – or both of them to fine tune your business, improve production, take you to the next level of high-end printing, and be more profitable. Scott Fresener is considered a leading expert in the field of garment decorating and is the co-author of the industry “bible” How-RIP and the T-Jet. Over the years Scott has consulted large and small firms and major corporations in this country and abroad on garment screen printing and computer graphics. His clients include companies such as Walt Disney World in Orlando Florida and companies in Holland, England, Malaysia, Hong Kong, Colombia, Japan, Singapore, Guatemala, Mexico, Brazil, Norway, Canada, Argentina, Spain and Australia. In 1998, Scott spent six weeks on the Island of Mauritius in the Indian Ocean working with large screen printing factories who export to Europe and the US. Scott’s other strengths include product development, marketing, branding and website development. Read Scott’s bio here to learn more. Scott and Mike Fresener also offer hands-on classes at their PrintersBootCamp.com in various locations around the country. You can also get them to bring the various Boot Camp classes to your location for personalized training right in your shop. Scott’s specialty is color separations. He can work with your entire art department and teach them how to do proper high-end color separations. Scott is a member of the Academy of Screen and Digital Printing Technology. Scott is located in Scottsdale Arizona and he can be reached at 480-212-1078 or email scott@tbiznetwork.com. His consulting rate ranges from $750 to $1,000 per day depending on the project, location and travel time. Mike Fresener was literally born into this industry. He is an excellent printer who knows every phase of the entire process. Mike taught classes at the U.S. Screen Printing Institute for a number of years and has been featured on many Videos/DVDs on the process. You can see some of Mike’s work on this site under Videos. Mike consults screen print & direct-to-garment startups, and small and medium size shops on topics ranging from equipment choices, shop layout, screen making, proper ink usage, press setup, production, heat transfer making, online marketing, and more. He is also an expert on specialty printing including jackets, caps, puff ink, glitter, and oversize prints. 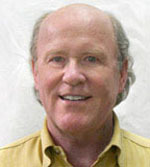 Mike is considered an expert on direct-to-garment and was instrumental in the development of the T-Jet line of printers. Mike has a complete industry supply company, Independent Print Supplies near Bowling Green, Kentucky. His consulting rate ranges from $500 to $1,000 per day depending on the project. You can reach Mike at 270-426-9292 or toll free 1/855-270-1119 or email mike@independentprintsupplies.com. Scott and Mike Fresener currently offer training in all aspects of garment printing with their Printers Boot Camp workshops. But often it is hard to get away from the shop or you might have a number (or a lot) of employees to train and it would be cheaper to bring the Freseners to you. You can get a team approach with Scott and Mike. Their “day rate” for both of them as a team is $1,500 with a two day minimum (plus travel and housing expense). Mike can work with your product people and screen makers while Scott works with the artists and management. Call or email for a no obligation quote.